Excellent location: a supermarket and the train station are within footsteps, good for an early train in the next morning. The room and the hotel overall are clean and with good decor. The staffs are very dedicated as well. Just next to the station which is appropriate with the one who travel with big luggage. Very nice staff Surrounding environment is great. Good location. Nice room, a little tight but with everything one needs for a couple of nights after spending a day walking around the city. Literally next to the train station with access to many bus lines and a grocery store. The staff was in general very attentive and nice, with the exception of the lady who charged me to print my boarding passes (and did not tell me beforehand). Hotel was comfortable, clean and had a good location. Had modern decor and sound proof walls. Great value for money. Would stay again. Very close to the center, many restaurants near, the train station right near, also one Carrefour near. Just next to the train station, which is very handy. WiFi worked well, check in and check out is very quick. Very well located just next to the station although a bit difficult to find the first time. Very basic room, but with all that is necessary. Comfortable beds. The rooms are very small, so consider this if you are sharing with friends, since there is not much space or intimacy. 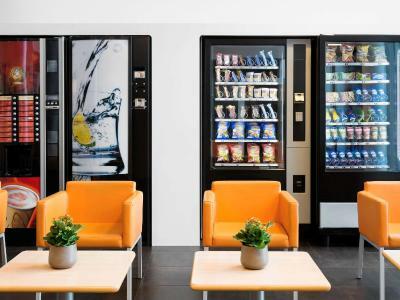 This ibis budget hotel is located next to Bruges Train Station at the edge of the city, only a short walk away from inner Bruges. This modern hotel benefits from a 24-hour front desk and offers air-conditioned rooms. 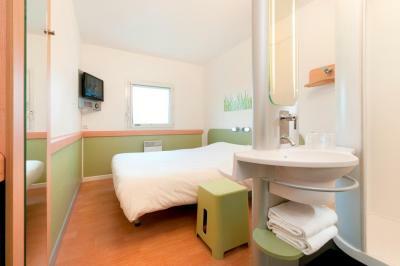 All rooms at ibis budget Brugge Centrum Station have a flat-screen TV and a shower. 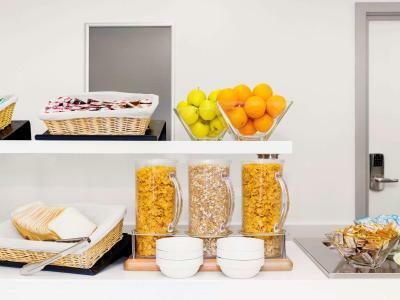 The hotel serves a continental all-you-can-eat breakfast buffet. 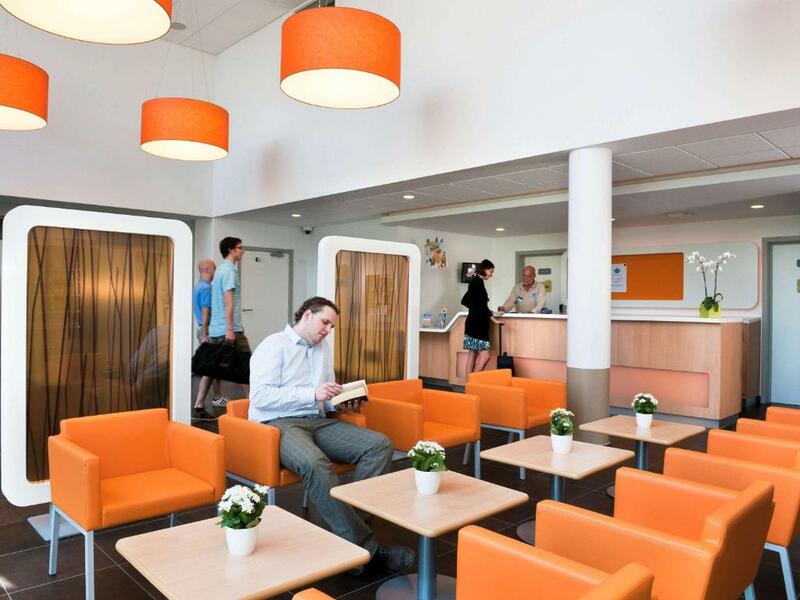 ibis budget Brugge Centrum Station is only 5 minutes’ walk from the Beguinage and a 20-minute walk from the Belfort. Guests can make use of the public parking near the hotel. 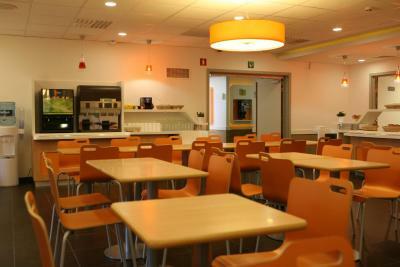 When would you like to stay at ibis budget Brugge Centrum Station? Each of these triple rooms includes a double bed plus a single bunk positioned over the head of the bed. The room has been decorated with aqua color accents and includes a flat-screen TV. A modern room with an open-plan bathroom and light, fresh colors. It includes flat-screen TV and a bed with a comforter. 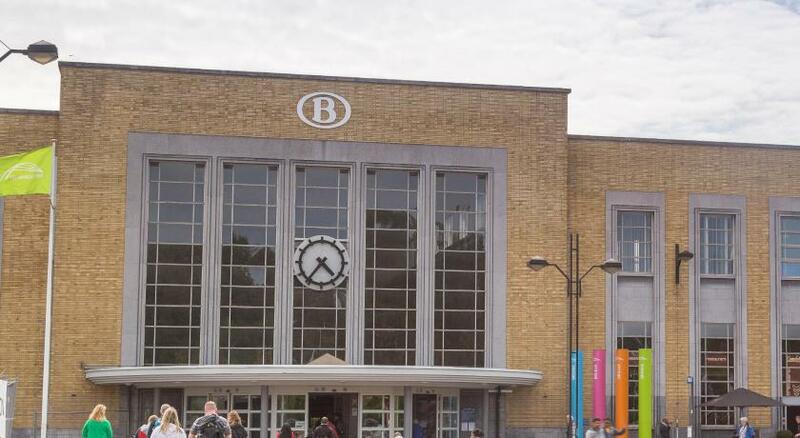 The ibis budget Brugge Centrum Station is located near the train station and the center of Bruges. Book a budget room and save money when you visit the historical center (UNESCO world heritage site) with the béguinage, Basilica of the Holy Blood and Belfort. Take a romantic canal trip and browse the many shops selling local specialties crocheted lace and chocolate. Facilities: air-conditioned modern rooms with flat screen TV, breakfast buffet, WIFI and public parking. Hotel surroundings – This neighborhood is a great choice for travelers interested in beer, atmosphere and ambiance – Check location Great location - show map Guests loved walking around the neighborhood! 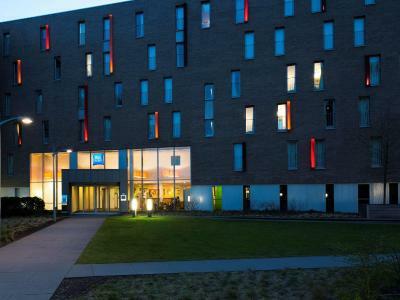 House Rules ibis budget Brugge Centrum Station takes special requests – add in the next step! ATM card ibis budget Brugge Centrum Station accepts these cards and reserves the right to temporarily hold an amount prior to arrival. ibis budget Brugge Centrum Station accepts these cards and reserves the right to temporarily hold an amount prior to arrival. I wasn't aware that the shower cubicle would be in the room, rather than in a bathroom area separated by a door There were silverfish in the room, possibly from damp due to the shower arrangements. The carpets in the public areas were dirty. Some of the staff were not friendly or helpful. The neighbours were very noisy outside in the early hours of Saturday morning. The location was great, not too far from the centre, and close to the station. The double bed in the room for 3 took up most of the space so it’s not suitable if you have a big suitcase. The address provided confused my google map. It took us to the service door so we had to walk back to the main entrance. It would be nice if you sent some message or email with instructions in advance. The floor is dusty even it was cleaned. The room is compact but have tall window to have natural lights coming in. Staff are nice and helpful. We were not given a post code and therefore wasted time getting there. There are 2 Ibis en in Bruges. The possibility (without having to purchase a breakfast) of cup of tea in the morning would have been nice. We knew it was a budget hotel and we adjusted our expectations accordingly. It was quiet and the parking cheap and nearby. This Ibis looked brand new. the location is great, close to train station, but have to walk 10 more mins to the city center. Simple and effective room layout. Clean, tidy and nice staff. Very easy to get to from brugges central.